Made from a mixture of textile and leather, these top quality Gore-Tex lined ladies gloves are ideal for three seasons. I’ve worn them since May last year and travelled over 4000 miles through spring showers, summer heat and early autumn frosts. They have happily never let me down. I like the suede palms, as they aid dexterity when using the bike controls as they’re not bulky. There’s a wrist and cuff adjuster, which means I can wear them tucked in or over the cuffs of my jacket, so they are practical with lots of different riding kit. At £160 they are pricey but worth the investment. They come with a two-year warranty and there’s some great attention to detail. Touchscreen fingertips, so smart phones and sat navs can be operated with a gloved hand and the forefinger visor wipe are both nice touches. It did take a while to break them in, which is odd for mainly textile gloves. I opted for a size medium because the fitted well on the palms but the fingers initially seemed a little short and took a few 100 miles to stretch. 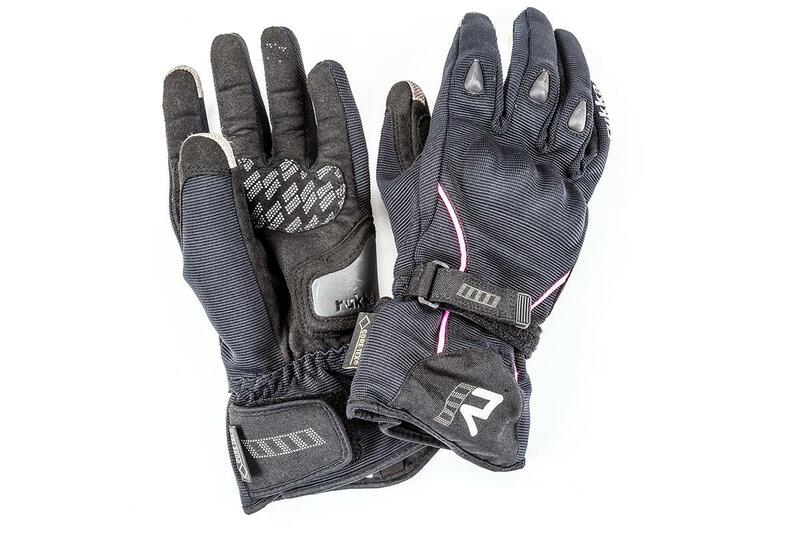 That said I do have piano player fingers (although I have no musical sense or taste) so it could be more down to my hand shape than a fault of the gloves. .
We've tested the Rukka Suki suit too and here's what we thought. Ali's been putting the Rukka Suki suit to the test too, is it really the Rolls Royce of riding gear?